A furnace is a necessity during cold weather. It just so happens that Salt Lake City can get a lot colder than most cities. 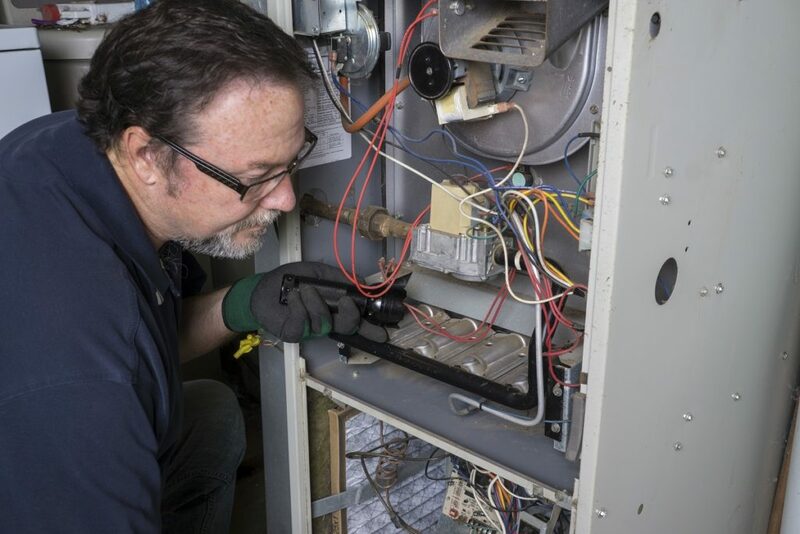 A cold home may need immediate furnace repair services in Salt Lake City. A furnace is one of the most important features of any home. It keeps the house and its occupants warm and comfortable. However, problems sometimes happen, and when they do, the homeowner should understand what is happening before calling professional help. Traditional furnaces are non-managed. These are turned on when the weather is cold and turned off when the weather is warmer. Today’s furnaces are more sophisticated and need proper monitoring and maintenance. There are automatic switches, thermostat controls, and even apps which can control the furnace. There are more problems with modern furnaces. The homeowner would do well to know possible furnace problems so he can relay this to the professionals. 1. The furnace is not turned on, or the thermostat is set at a low temperature. It is easy to think that the furnace is turned on because it was working a while ago. The furnace might have turned off due to the breaker switch. Or it might have turned off because of the timer. If the timer’s date and time are wrong, it would still turn off and follow the time on the automated timer switch. If there is inadequate heat, it is possible that the thermostat is set too low. Try to set the thermostat at least 5 degrees above the actual temperature. This will save you money in the long run and would keep the furnace from overheating. 2. The furnace is turned on, but it is not producing any heat. Check the circuit breaker. It might have switched off inadvertently. 3. The furnace is not producing enough heat. Check the filter; if it is dirty, it is time to replace it. 4. Safety switch did not turn on. The safety switch is part of the door system. The safety switch keeps the system turned off until after the furnace door is closed. Locate and inspect the safety switch, test it by closing and opening the furnace door and checking if the device turns on and generates heat, or not. 5. Cluttered surroundings. For safety reasons, keep the area around the furnace clean. This means that flammable liquids should be stowed elsewhere, and away from the furnace. The paper should not be kept lying near the furnace. Paper and flammable fluids do not mix well with furnaces. Additionally, the clutter might be hindering the air flow. 6. The burner flame should be blue. It’s like a gas range; it burns fuel cleanly if it is blue and even. However, when it burns yellow, or the flame is too low, then it may have problems either in the fuel, tank or the hose. 7. The furnace blower lacks maintenance. The blower helps distribute the heat throughout the house. To ensure proper operation, it should be oiled once a year. 8. Check the limit switch. The limit switch controls the blower. If the limit switch is not running properly, the blower will run continuously, and this will result in a shorter life span. If the limit switch is faulty, the temperature will run too high. The above troubleshooting steps help the user to keep their furnace running properly. Although these can be quickly done by the owner, most parts replacement are better done by professionals.